We currently offer two adult circus classes – mixed circus and aerials. Our mixed circus class incorporates juggling, balancing arts, acrobatics and aerials. This class is recommended for beginners. 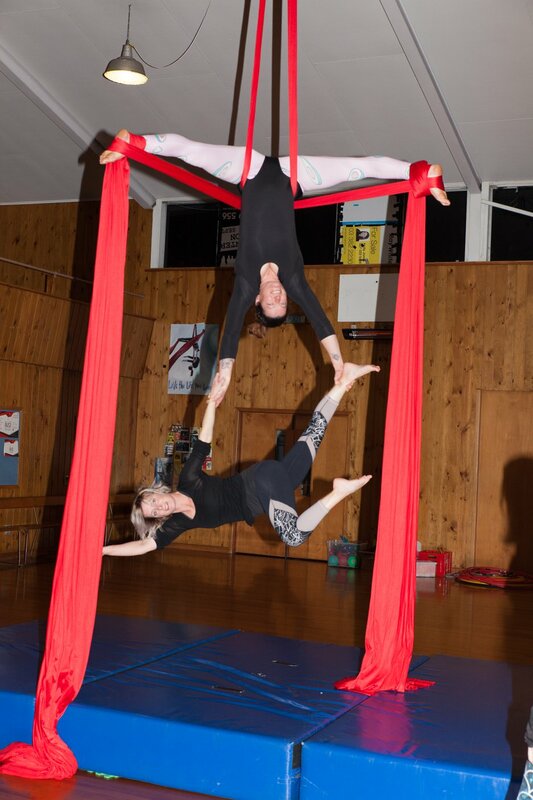 Our aerial circus class focuses on developing skills in trapeze, lyra, silks, hammock and rope and is recommended for beginner to intermediate levels. A good level of fitness is recommended and a good level of focus is expected.